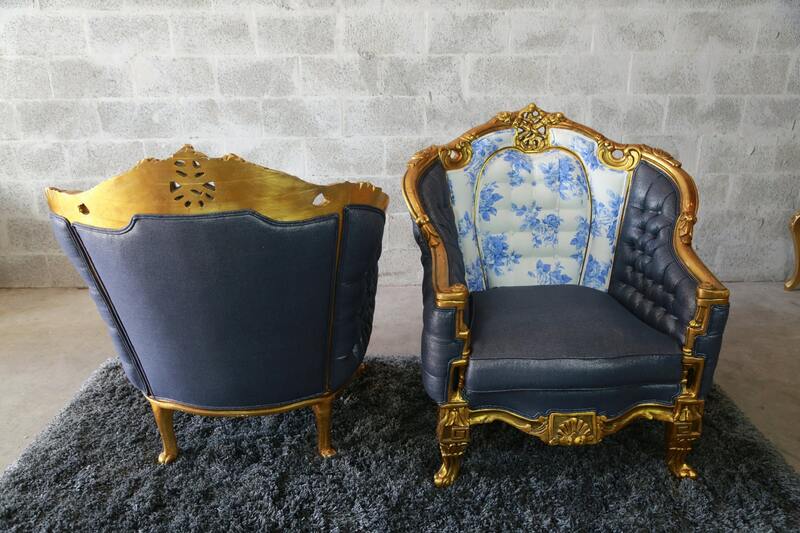 This is an antique French Louis XVI Bergere made around 1880. 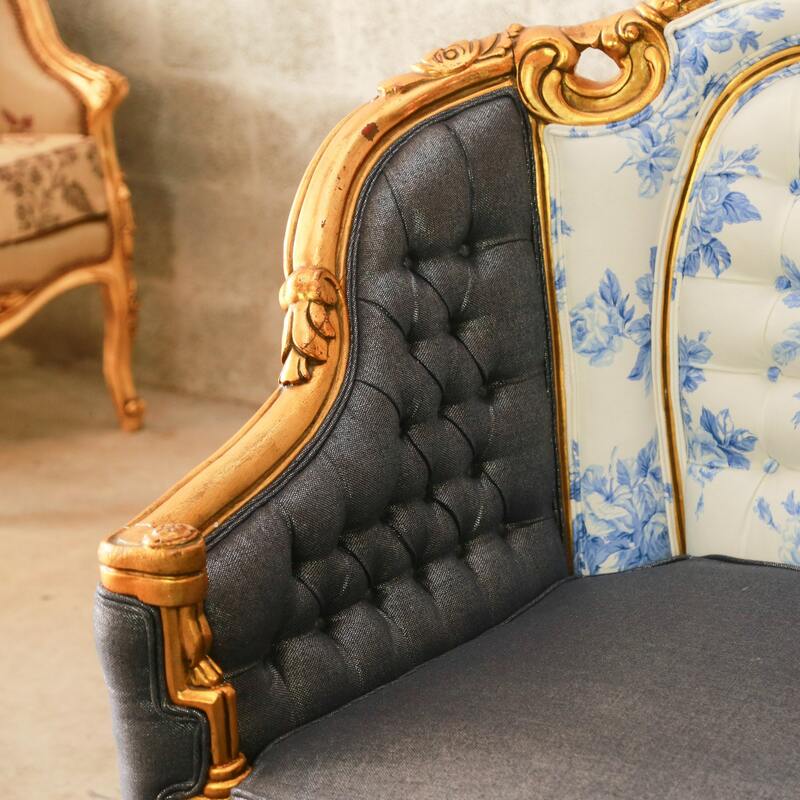 It has the original gild layer on the frame and was recently reupholster using a high end designer fabric inspired by famous painter KUKULA. 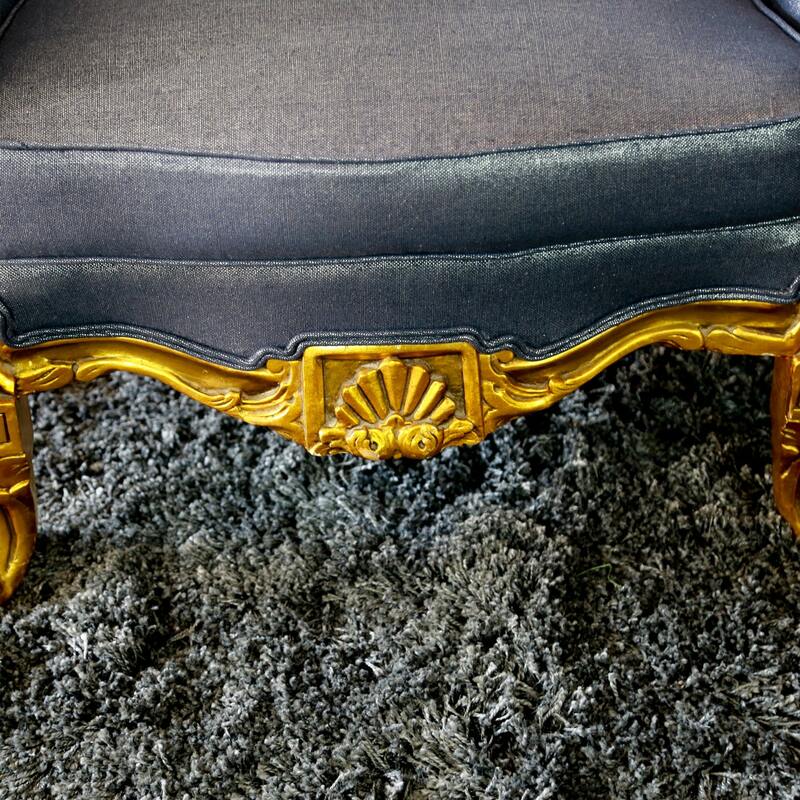 The fabric is a metallic indigo tufted. The backrest was reupholster using a cotton delft/limoges pattern fabric. 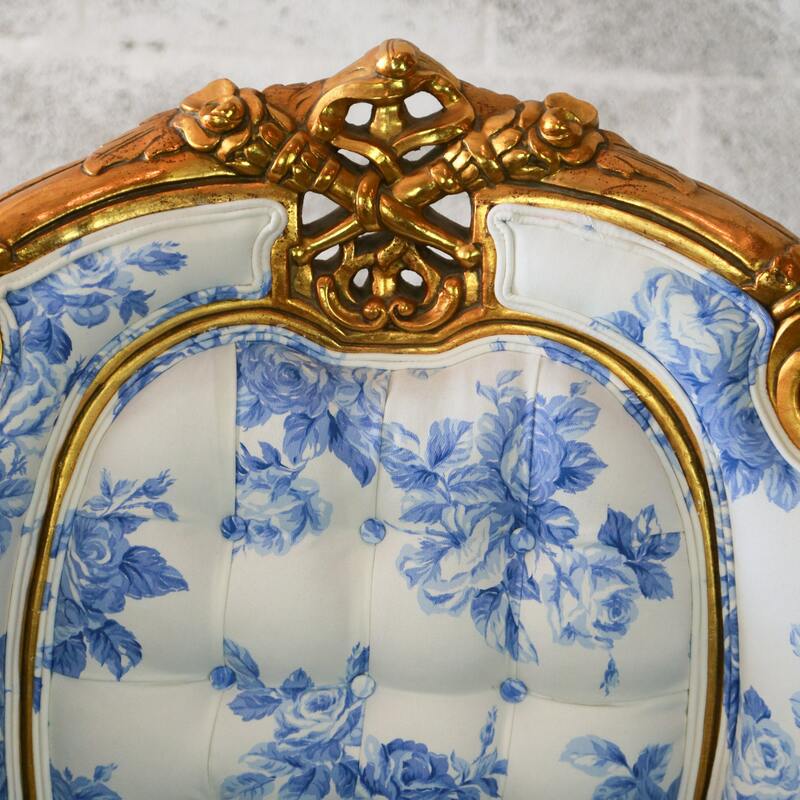 This KUKULA inspired upholstery is from her Retro Romance in Blue Limoges Girl Collection. 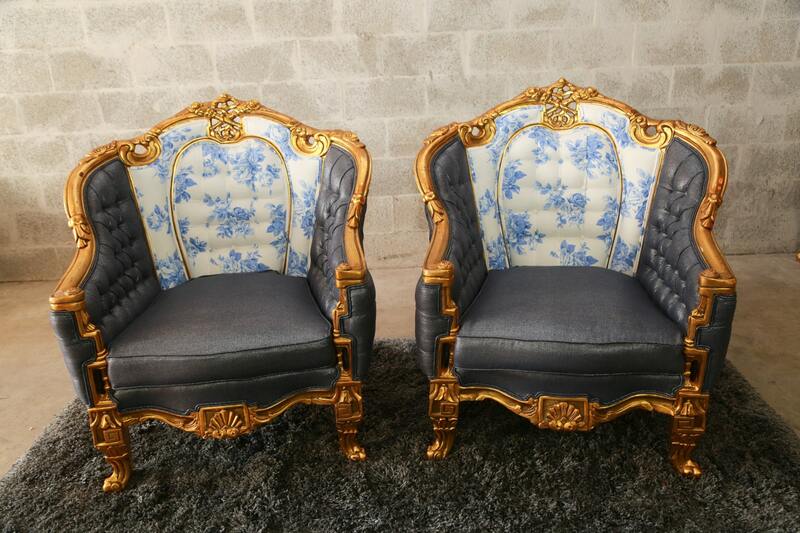 The price of $1,450 is per chair. The frame of this beautiful chair is extremely heavy and sturdy. We changed all the padding and cushions so this is very comfortable for every day use. Dimension: 42"H x 37.5"W x 34"D. Floor to seat 19"